Wearing their punctuation with pride, Chicago-based Volcano! come good on the promise displayed on their debut album for leaf a few months back - with 'Apple Or Gun' drawing in comparisons to Radiohead, Can, Animal Collective and the Buckley's like moths to a summer flame. Broad guitar music in the mould of Arcade Fire, Volcano! mark themselves out from the Zane Lowe-masses by conjuring up a level of passion that is normally grafted on as a dial-an-orchestra afterthought. Bold to the point of belligerence, 'Apple Or A Gun' is indie-pop done good - thrashing the addictive melodies around a flag-pole of genuine talent. 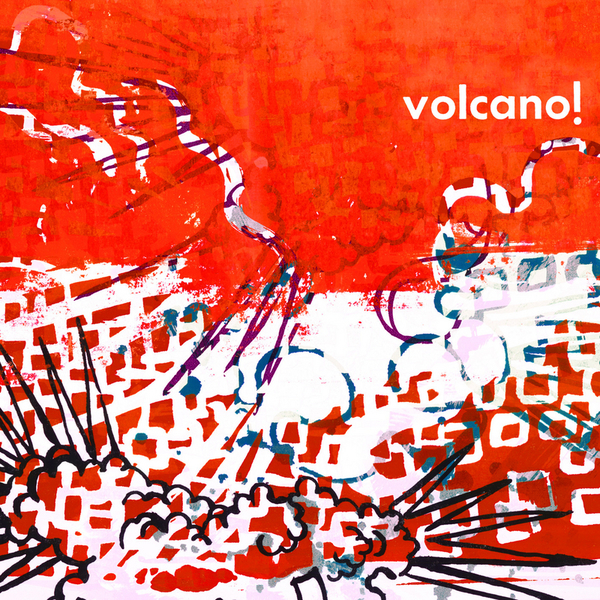 Backed by the similarly great 'I've Been Loving You Since Desert Storm', Volcano! Might just be a straight-up guitar band worth getting hot over.